The PPA has been performing benchmarking studies for its member electric utilities every year since 2000, the only exception being the period 2004 to 2009. Until now, the annual benchmarking report is prepared manually using MS Excel spreadsheets which utility personnel submit to the PPA Secretariat through electronic mail. Data is validated, analyzed and predetermined formulas are used within benchmarking spreadsheets to calculate KPIs. The data collection methodology has not been as efficient as it needs to be and the PPA Secretariat has struggled with data validation and timelines in completing the study. 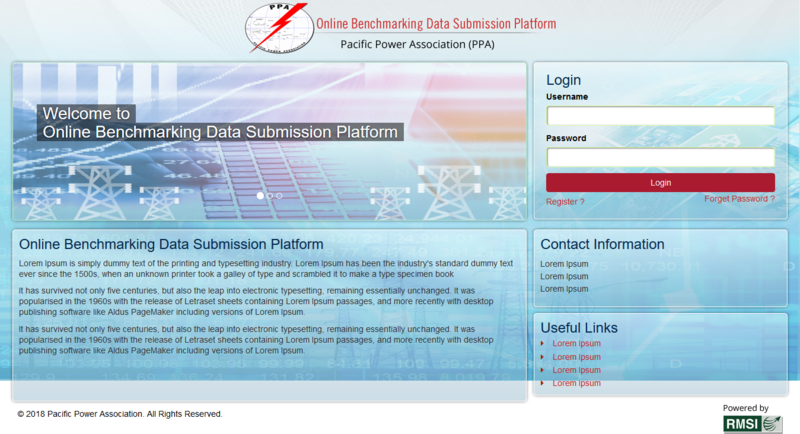 This newly developed benchmarking tool allow users to submit data electronically through an online application developed specifically for the Pacific Power Association member utilities. Utilities can carry out their own benchmarking analysis online and the PPA secretariat will also be able to prepare the Annual Benchmarking Report more efficiently.